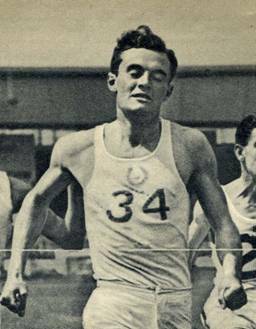 The 1934 British Empire Games were the second of what is now known as the Commonwealth Games. They were held in England from 4–11 August 1934: London’s Wembley Park was the main arena, although the track cycling events were in Manchester. Seventeen national teams took part, including the Irish Free State (the only Games in which they participated, although at the earlier 1930 Empire Games a single team representing the whole of Ireland competed). London seems to have obtained several Games for reasons other than the straightforward allocation. This was one of the times: the 1934 Games had originally been awarded to Johannesburg in South Africa, but were changed to London because of concerns (particularly from Canada) about the way South Africa would treat black and Asian athletes. 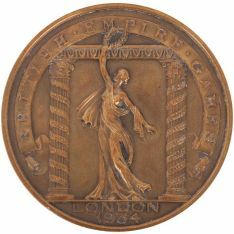 Six sports were featured in the Games: athletics in the White City Stadium; boxing, wrestling, and aquatics (swimming and diving) in the Empire Pool and Arena, Wembley; cycling in Fallowfield Stadium, Manchester; and lawn bowls at Paddington and Temple. Women’s events in athletics were held; in the inaugural Games, the women’s events were found only in swimming. There were twenty one events for men and nine for women. Although several Scots had competed in Canada in 1930, there was no formal team management and 1934 is regarded as the first year in which a Scottish team was forward. 220 yards men: Robin Murdoch 4th (22.8 Ht); Ian Young 5th (22.9 Ht); David Brownlee 5th Ht 2; Archie Turner ran, no details. 220 yards women: Sheena Dobbie 4th Ht 3; Cathie Jackson 5th Ht 1; Margaret McKenzie 5th Ht 2; Barbara Barnetson 5th Ht 3. 880 yards women: Mildred Storrar 7th. Mile men: Robert Graham 5th; John Pratt Laidlaw ran Ht 2. Three Miles: John Pratt Laidlaw 7th; James MB Caie 9th. High Jump Men: James Fraser Michie 3rd 6’3″ (First three men all stopped at 6’3″).